Newton is a terraced mountain estate of 48 hectares at elevations ranging from 152 meters to 488 meters above sea level. The individual vineyard blocks are planted to specific parcels; the many Chardonnay blocks are hand-picked and vinified separately, so the winemaker has a rich palette to choose from when composing the final wine. The vines lie among native vegetation as the preservation of the hillside ecosystem is increasingly important. 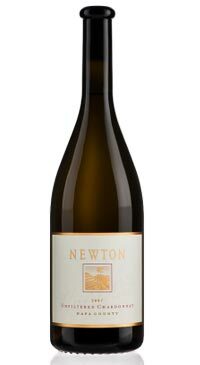 The 2013 unfiltered Reserve Chardonnay is opulent and intense. Rich, complex and vibrant fruit flavours are balanced by savoury barrel fermentation influences. Aromas of grapefruit, honey, vanilla, brioche and apricot. Rich fig and pear fruit flavours on the palate expand to subtle creamy oak, nutty and savoury notes. The finish lingers on pleasantly.